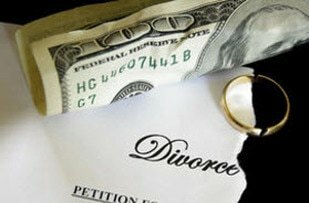 I have never met a person yet who likes to be the payor of spousal support (alimony). However,spousal support helps families transition, keeping many spouses from becoming homeless. From the start of a case until the final judgment, spousal support is computed by a program that uses a formula for the correct amount of spousal support. The most-utilized program is called Dissomaster. This program is complex and an experienced family law attorney can help you navigate to ensure that either receive the proper amount of spousal support or that you do not pay more than necessary. Spousal support usually commences retroactively (back in time) to the day that you file a motion for the support. Each day that the recipient-spouse has not filed for spousal support can be another day without support being paid to him or her. Thus, it is encouraged that if you need spousal support, you immediately seek out a family law attorney to help you get the support you need. Spousal support at the end of a case is determined by a judge’s consideration of facts. At the finale of your case, spousal support is no longer set by a program. Family Law attorneys litigate these factors which are codified at Family Code §4320. If you are opposed to spousal support, there are ways to fight the crippling blow of support debt.Our job is to help you get your spouse out there working to his or her full potential so that he/she can be “self-supporting” and you will not spend eternity paying for your ex. In marriages of short during, which is usually marriages of less than 10 years, spousal support goes on for one-half (½)the length of your marriage. In marriages of over 10 years, spousal support can go on until the death of a party or until your spouse is “self-supporting.” A family law specialist can get your payments down and help get your spouse to become self supporting.